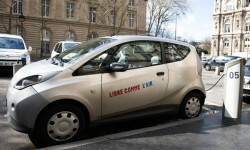 When Bolloré won the tender to run Autolib’, Paris’ first electric car-sharing service, in December 2010, the electrical solutions expert enrolled the help of SKF to ensure the reliability of its vehicles in time for the launch. Founded in 1822, the Bolloré Group is amongst the leading 500 companies worldwide. It operates in three main industries: Transportation and Logistics, Communication and Media, and Electricity Storage and Solutions. A family-owned French company, Bolloré is recognized as a global leader in the manufacture of polypropylene film for capacitors and developing LMP technology, a lithium metal polymer battery that is known for its high energy density and safety. Markets: Bolloré and its subsidiaries operate across North America, South America, Africa, Europe, the Middle East, Asia and Australasia. 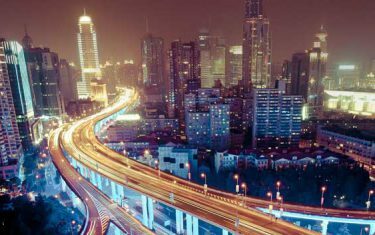 Tackling pollution and transport problems in a congested city such as Paris is no small undertaking. 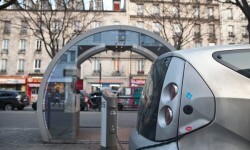 Despite this, energy company Bolloré took on the challenge when it began preparing its Bluecar, a 100 percent electric, four-person vehicle, ready to be used in less than a year by thousands of Parisians – 24 hours a day, seven days a week. The first 1,000 vehicles, electrical charging stations and relevant infrastructure for the scheme needed to be in place in time for the launch in December 2011, putting a significant time constraint on the project. With only four months to go until the launch, SKF was called in to consult on the motor part of the vehicle. 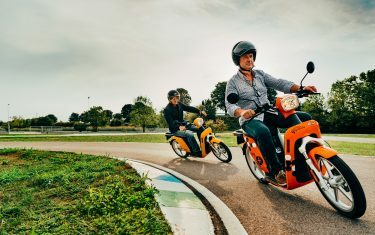 “We were using standard components from mass car manufacturers, but they weren’t suitable for an electric car-sharing scheme, where multiple drivers are using the vehicle each day,” says Benoit Hurel, technical director of electric vehicles at Bolloré. In response, SKF immediately pulled together a team using the expertise of the sensor bearing unit, the ADC-SI (automotive development centre-sensor integration) unit, the deep groove ball bearing product development unit and sales. The team combined two existing solutions: ball bearings and sensor bearings specifically designed for high-powered electric vehicles. Together, these worked to improve the performance of the electric motor and counter negative external environmental effects. Within a few days, the SKF team succeeded in designing, producing, testing and delivering the motor and sensor bearings to the Bluecar plant. The result was an increase in the performance of the vehicle in terms of both efficiency of the car’s motor and reduction in noise levels, just in time for the launch. 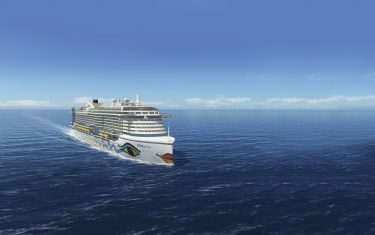 Advanced technology and speedy innovation were both critical to the success of the project. 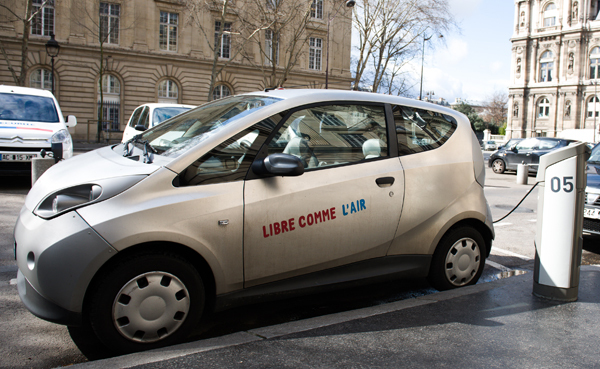 Today, drivers in Paris can find any of the more than 3,000 Bluecars and charging stations via a smartphone application or online. Powered by an advanced lithium polymer metal battery, the Bluecar can drive for 250 kilometres on a single charge. Its built-in GPS keeps the car in constant contact with the control centre at Autolib’s head office in Vaucresson, just west of Paris. 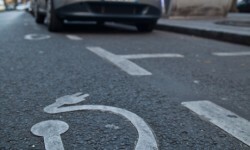 Since December 2011, some 180,000 people have used Autolib’ for a total of some 6.5 million trips. “Of course we wouldn’t have succeeded without the key knowledge developed in sensor bearing technology, but the key success factor lies in the excellent collaboration between the SKF and the Bolloré teams,” says Antoine Kassidonis, sales manager SKF Powertrain and Electrical, France. It’s this kind of teamwork that Bolloré values highly. “Our partners are very important,” Hurel says. 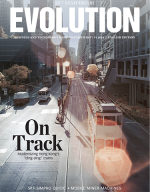 “Working with people who share the same ‘solutions first’ focus and high reactivity is critical to advancing with new concepts quickly.” This is one reason the partnership hasn’t stopped with the Paris project. Today, SKF continues to support Bolloré in providing unique bearing solutions for the company’s other electric car-sharing schemes, such as Bluely in Lyon, Bluecub in Bordeaux and now BlueIndy, which was launched in Indianapolis, Indiana, in the United States in May 2014. SKF has also helped Bolloré with rapidly growing projects such as the BlueBus, a 100 percent electric bus that is now used for public transport in several towns across France and Europe. What is most remarkable about the scheme is the positive impact on the environment. 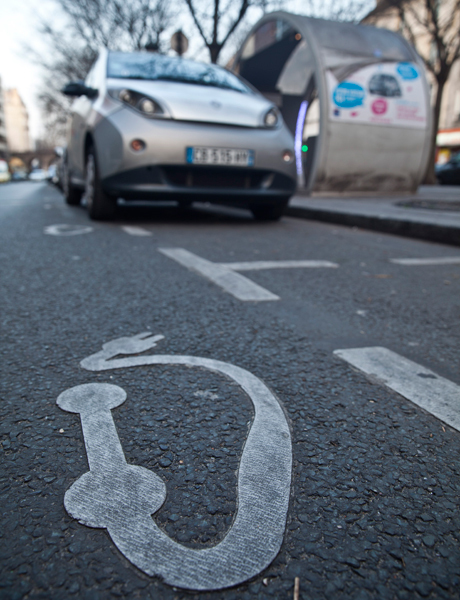 To date, Autolib’ has contributed to a reduction in pollution by saving more than 6,000 tonnes of CO2 emissions. This is an important step for Paris, which still struggles with air pollution. For SKF, this environmental focus has been a crucial part of working with Bolloré. 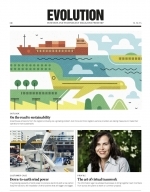 “Autolib’ and Bolloré’s other vehicle initiatives are an excellent match with SKF’s BeyondZero objectives, offering solutions with significant environmental benefits,” says Kassidonis. Determined to meet the clean energy needs of its customers, Bolloré continues to expand into new markets and develop its range of electric vehicles. Recent launches include the BlueSummer®, a stylish cabriolet ideal for holidaymakers, and a utility vehicle for small business owners. 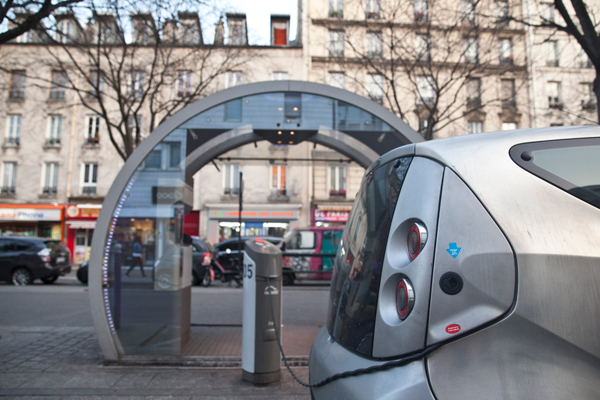 Bolloré’s strategy, a continual mix of innovation and efficiency, is one that will no doubt pave the way for more cities to go electric in the future. SKF eDrive Deep Groove Ball Bearings are specifically designed for both electric- and hybrid-powered vehicles to provide improved efficiency, lower frictional losses and higher speed ability. They also enable longer service life for the drive system and an extended driving distance per battery charge. SKF sensor bearing units combine low frictional moment and high-speed bearing functionality with high-precision signals to determine rotor angular position. The units are impervious to severe magnetic field disturbances and can withstand application vibration and continuous temperatures of up to 150 degrees Celsius. They are compact and help to improve safety, motor efficiency and energy recovery in the braking phases.